As you should be aware that Vedic Astrology, Tarot Cards, Numerology and Dowsing are not considered as a exact science so you are advised to use your common sense and own judgment while taking your own personal decisions, the site readings are meant to reflect your own thought processes and projections rather than create them.Therefore, Divyatattva.in or its astrologers/consultants cannot be held responsible for the decisions that may be taken by anyone based on on reports.The reports or remedies should not be used as substitute for advice, programs, or treatment that you would normally receive from a licensed professional, such as a financial or legal advisor, doctor, psychiatrist etc. All divinatory readings and advice arising from use of this site are understood to be for entertainment purposes only and consultation fees once charged won't be refunded. 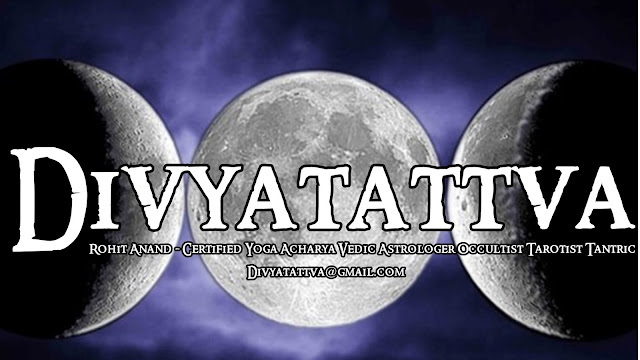 By utilizing and accessing www.Divyattavva.in astrology & tarot section and/or by requesting and/or receiving astrological interpretations and/or advice either through the site or affiliates of the sites, you agree to release Divyattava.in or its owners from any and all liability with regard to the contents of the site and/or advice received. Accordingly, divyatattva.in or its owners provides no guarantees, implied warranties, or assurances of any kind, and will not be responsible for any interpretation made or use by the recipient of the information and data mentioned above. If you do not agree with any of the disclaimers above, please do not continue viewing our site and leave the site immediately. Your viewing this site confirms your acceptance of our disclaimer and terms and conditions.